For the first concert of 2018, the Geelong Chorale selected one of George Frederick Handel’s most challenging works for choir string orchestra and continuo, and soloists – Dixit Dominus (Psalm 109). This work, composed while Handel was working and studying in Rome, is florid and exacting. Handel was 22 and was thriving on the chance to experiment with the richness of the Italian baroque. It is a huge undertaking for the choir, with six very exacting choral movements, punctuated by only two solo movements. These were sung by Lee Abrahmsen, soprano, and Colm Talbot, alto. The other soloists were Emily Swanson, soprano, Terence McManus, tenor, and Will Humphreys, bass. 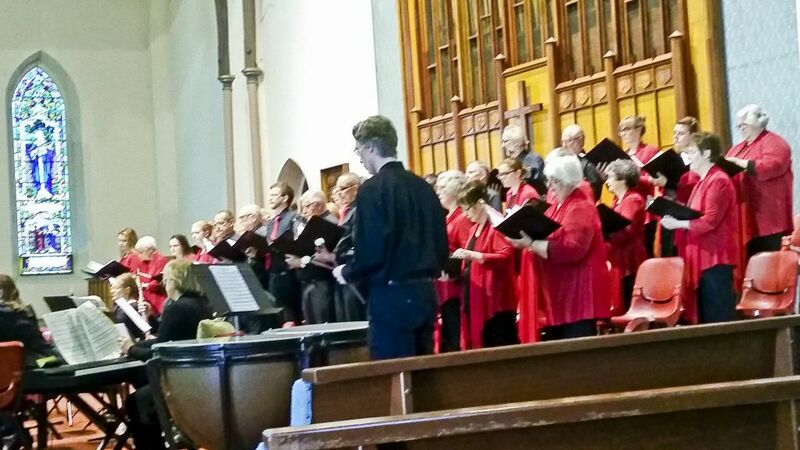 The concert was conducted by Allister Cox, who is also the Musical Director of the Geelong Chorale. The orchestra of 16 fine musicians was led by Kathryn Buttigieg, with the Chorale’s accompanist Kristine Mellens, playing continuo. 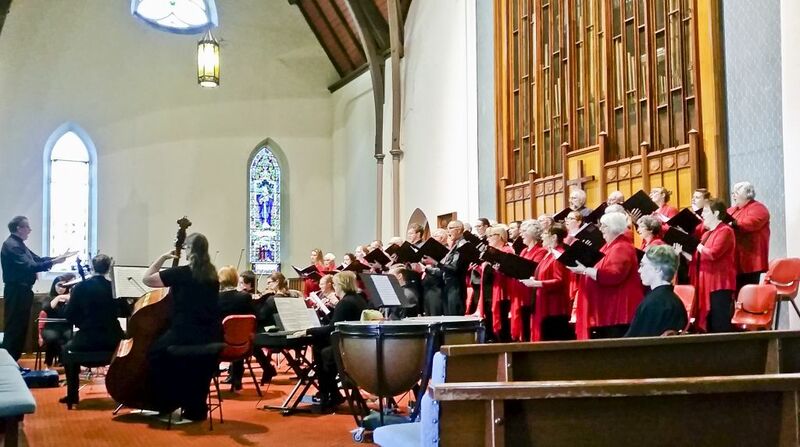 The choir, despite sometimes struggling with an extremely high range and intricate counterpoint, showed that it can overcome technical difficulties to make exciting and moving music. De torrente in via, the second last movement, is an example of emotional intensity, with the men of the choir singing in quiet unison under the soaring counterpoint of two soprano soloists, whose intricate part weaving of clashing seconds, resolves into glorious sonority. The sopranos were Lee Abrahmsen and Emily Swanson, Lee bringing a warmth of operatic tone, and Emily and incisive clarity and a feeling for Handelian style. After this quiet movement, the joyous Gloria patri is a celebration of baroque sparkle. The sopranos in particular are to be complimented on their clean singing of bouncing octaves in the extended Amen section – a precursor of many more to be found in Handel’s more mature works. Will Humphreys, who is a regular member of the Chorale, it to be congratulated for stepping in at late notice to sing the bass solo, with a fine tone and excellent technique for the very florid music. After a brief interval, the music moved forward twenty years, to a mature Handel, firmly established in the English musical establishment. In 1825, at the age of 42, Handel composed four coronation anthems for the coronation of King James II. The orchestra includes strings, The first and best known is Zadok the Priest. This begins with a long ritonello from the orchestra – building up then dying down in a series of broken chords from strings till the anticipation is rewarded with a blast of choral chords with trumpets and timpani – “Zadok the priest and Nathan the prophet anointed Solomon King”. The joyousness continues as the choir declares “God save the king, may the king live forever. Alleluia, Amen”. Although Zadok was the second Coronation Anthem performed at the coronation of James II, it is now always sung first. The other coronation anthems are Let Thy Hand be Strengthened, The King Shall Rejoice and My Heart is Inditing which was originally sung during the coronation of the Queen Caroline. This movement is the only one which includes soloists. For this performance, the final anthem sung was The King Shall Rejoice. The final movement “Halleluia, Amen” made a most fitting finale to this fine concert of Handel music. This entry was posted in Concert reports and tagged Allister Cox, Colm Talbot, Coronation Anthems, Dixit Dominus, Emily Swanson, Lee Abrahmsen, Terence MacManus, The Geelong Chorale, Will Humphreys by hlyth2013. Bookmark the permalink.